I think I'm addicted to doing these . 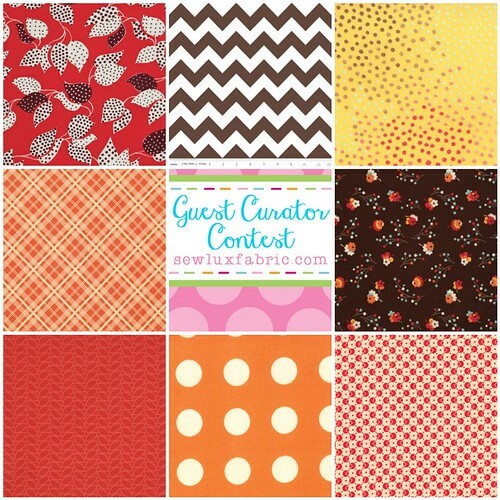 . .
Jenelle over at Echinops and Aster posted today about a curated collection competition going on over at Sew Lux. Putting together mosaics is the perfect thing to do during my kids' naps (and they actually napped today!) so I couldn't resist. I am normally a fan of cooler colors, but I love all of these prints and the chilly weather has definitely drawn me to these autumn colors. I am going to call my mosaic Autumn Evenings. If you haven't already checked out the competition, you can find the details and linkup here! Love your colour combo - it definitely has a very warm and autumnal feel to me. I am totally addicted - I have a couple of bundles entered already! Fun warm colors, nice bundle! Good Luck!